This is the extraordinary love story of Clare and Henry who met when Clare was six and Henry was thirty-six, and were married when Clare was twenty-two and Henry thirty. Impossible but true, because Henry suffers from a rare condition where his genetic clock periodically resets and he finds himself pulled suddenly into his past or future. In the face of this force they can neither prevent nor control, Henry and Clare's struggle to lead normal lives is both intensely moving and entirely unforgettable. A most untraditional story, this is the celebrated tale of Henry DeTamble, a dashing, adventuresome librarian who travels involuntarily through time, and Clare Abshire, an artist whose life takes a natural sequential course. Henry and Clare's passionate affair endures across a sea of time and captures them in an impossibly romantic trap that tests the strength of fate and basks in the bonds of love. "[A] time-travel love story par excellence. . . . It will be a hard-hearted reader who is not moved to tears by this soaring celebration of the victory of love over time." --"Chicago Tribune" Audrey Niffenegger is a professor in the M.F.A. program at the Columbia College Chicago Center for Book and Paper Arts. She lives in Chicago. "The Time Traveler's Wife" is her first novel; her second, "Her Fearful Symmetry," takes place next to London's Highgate Cemetery. Audrey Niffenegger is an exceptionally creative writer and visual artist who has achieved enormous success in both worlds. 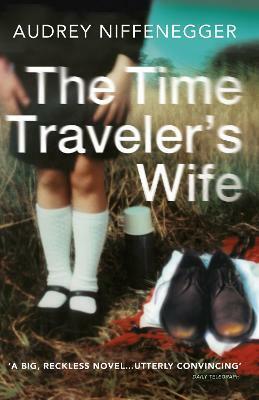 Her debut novel, The Time Traveler's Wife, has sold nearly five million copies worldwide and has been translated into thirty-three languages to date. A Richard & Judy book club choice in the UK, it has been a huge bestseller all round the world. In the Daily Telegraph's readers' poll of the 'Top 50 Books of All Time' it appeared at no. 11. Niffenegger is also the author of two 'novels-in-pictures', The Three Incestuous Sisters (2005) and The Adventuress (2006), both published by Jonathan Cape. Her graphic novel The Night Bookmobile was serialized in the Guardian and published on the Cape Graphic list. A Chicago native, Niffenegger received her MFA in Printmaking and Drawing from Northwestern University. Her art has been widely exhibited in the United States and is in the permanent collections of the Library of Congress and Harvard University's Houghton Library.